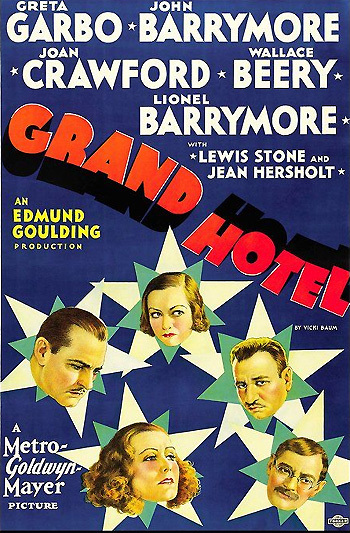 MGM's Best Picture winner - director Edmund Goulding's and legendary MGM executive and producer Irving Thalberg's Grand Hotel, was an all-star extravaganza soap opera, with Greta Garbo (as a fragile, forlorn and aging ballerina dancer), John Barrymore (as an impoverished, desperate baron/jewel thief), Lionel Barrymore (as a terminally-sick factory clerk/bookkeeper), Joan Crawford (as a hired stenographer), Lewis Stone (as a disfigured physician), and Wallace Beery (as a shady industrialist). The setting of the slick, large-budgeted, 'prestige' film, based upon Vicki Baum's best-seller, was within the ritzy confines of a glamorous Berlin hotel, and it followed the intermingling lives of the characters over a brief two-day period, with romance, solitude, and murder. Frank Borzage won his second (and last) Best Director Award for Bad Girl, defeating directors Josef von Sternberg for Shanghai Express and King Vidor for The Champ. Borzage had won in the very first award ceremony for Best Dramatic Picture Direction for Seventh Heaven (1927/28). The remaining actor nominee was Alfred Lunt (with his sole career nomination) as "The Actor" in director Sidney Franklin's The Guardsman (with two nominations and no wins). The comedy duo Laurel and Hardy received a Short Subject: Comedy award for The Music Box (their first and only award) about the struggles of moving a piano up a flight of stairs (an apt analogy of the common man struggling against insurmountable odds during the Depression). Howard Hawks' classic gangster film Scarface: The Shame of the Nation went un-nominated for Best Picture, Best Director, and Best Actor (Paul Muni). Nominated and winning actor Fredric March's deserving co-star Miriam Hopkins and director Rouben Mamoulian did not receive nominations for Dr. Jekyll and Mr. Hyde. 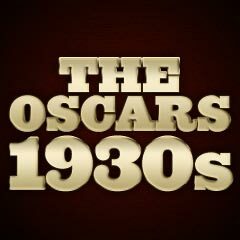 [March already had one Oscar nomination to his credit for The Royal Family of Broadway (1930/31).] Two powerful actors in James Whale's archetypal horror genre film Frankenstein went un-recognized: Colin Clive as Dr. Frankenstein (who attempted to 'play God') and Boris Karloff as the Monster. Constance Bennett in What Price Hollywood?